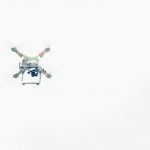 Drones for Sale: Top 5 Best New Drones to Buy with Camera Quadcopter – Drones for sale with cameras are a growing rage now, especially among filmmakers and photography enthusiasts. Since the price of such drones skyrocketed when they were first released, the prices have gone really down. Why not take your pick! Get an Intelligent Orientation Control system. Due to the IOC system, the user does not need to position the drone prior to flying, for stability. It is amazing for beginners! It also has a single key return function to make it come back home easily. A 2 MP video camera with HD recording takes high-resolution images while your drone flies. It also has a 6 axis gyro stability to add to its tech advancement. Easy to control (Really easy)! Another good option in the drone for sale is DBPOWER quadcopter. FVP enables the user to see exactly what the drone is seeing. With your phone, it monitors real-time video. It also supports two control modes – one by the transmitter and other directly by the android phone. It also has a 0.3 MP camera for taking pictures. The remote control has a 30M range while it can transmit images by WiFi over 20M distance. It has a flying time of 5 – 8minutes and charging time 90 minutes. The drone has a six-axis gyro RTF for stability and ease in flying. It has various functions like a return home, intelligent orientation control system, HD 2MP video camera and extended flying time with extra batteries. The drone has powerful and strong motors for efficient flying. Also, an enhanced performance is experienced, due to integrated elastic plastic frame for protecting the propellers during flying. The drone has an FPV camcorder, integrated into it. The camera is 14MP with 1080p and records the HD videos on an SD card. It also can stream the video over WiFi. For smoother videos, the camera may be tilted manually controlled by Vision app. It can fly for up to 25 minutes on a single charge. The outdoor flight made possible by GPS positioning. It can be flown on its own or along with a GoPro if you wish to record. Wi-Fi streaming won’t be possible using the camera because it can interfere with the remote control of the Phantom. The horizontal speed can reach a maximum of 22 miles/ hour. Wish to know which qualities make the quadcopter a great one? You must know certain factors before you decide to spend money on a drone. If you make sure you have noted all pros and cons, you will never have to regret your decision. Every drone is not very easy to control. It is not very easy to fly a quadcopter anyway, but what keeps it stable during the flight is a flight controller, which is actually an inbuilt computer. Based on the setup of the controller, every drone flies slightly different from the rest. Check out whether the drone is RTF (Ready to Fly), BNF (Bind and Fly) or ARF (Almost Ready to Fly). Do make sure you invest in research. Yes, some good time investment is awaiting you if you want to buy drones for sale. Look up, shortlist a few and compare the good and bad aspects of the drones you have shortlisted. 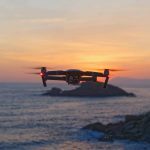 Become a part of a drone community to add valuable content to your knowledge regarding drones. Know how you wish to use the drone. Hobby, photography or some Bond inspired spying! Also, if you wish to fly the drone for extended time periods, you would need one that has the ability to live up to it. Simply because drones are so cool, your buying experience is going to be an exciting venture. Make a great effort to choose the one to suit your need from the various drones for sale. Grab the best.